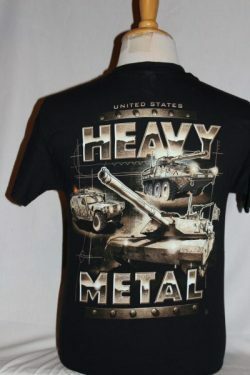 The Heavy Metal Weapons T-Shirt is a two sided print in black. 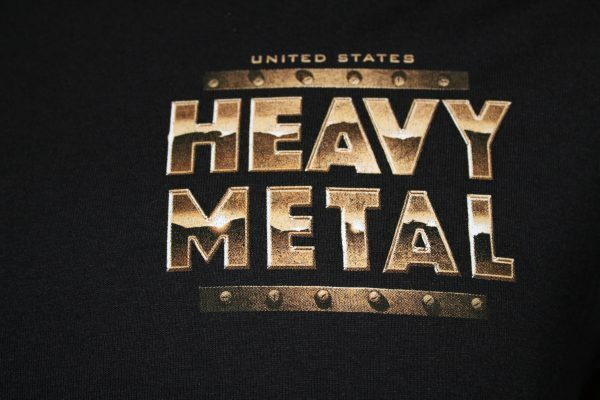 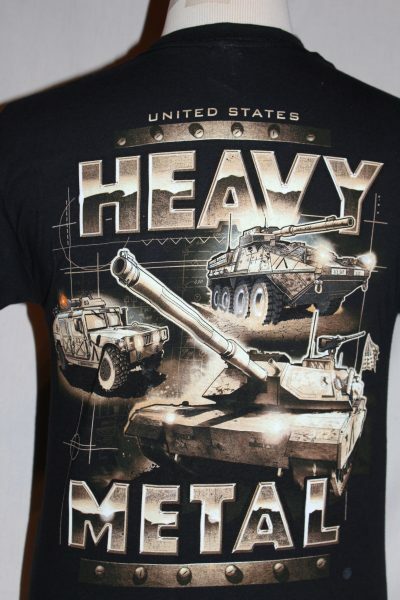 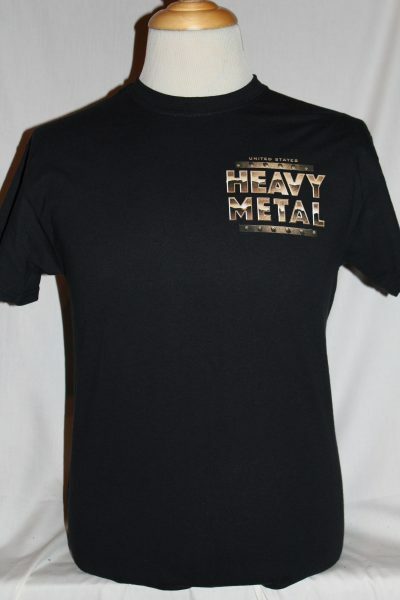 Front Design: Left Chest "Heavy metal" text. Back Design: Armored Vehicles superimposed on a map grid.